(APN) ATLANTA — In the latest filings with the U.S. Securities and Exchange Commission (SEC) on Thursday, January 29, 2015, Westinghouse Electric and the other contractors building Units 3 and 4 at Plant Vogtle revealed that they will be delayed another eighteen months, pushing back reactor starts for Vogtle Unit 3 to 2019 and for Unit 4 to 2020. 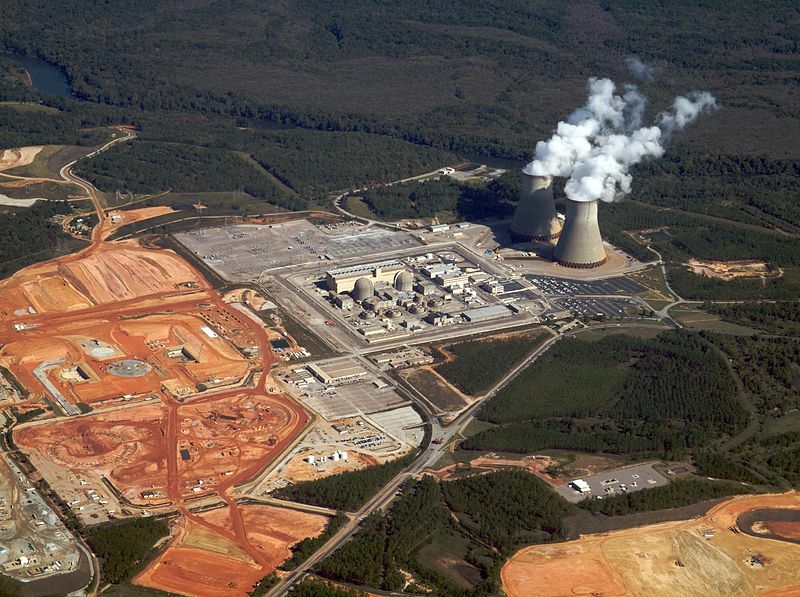 Plant Vogtle in Burke County, Georgia currently has two operating reactors, Units 1 and 2, which during their initial construction led to the largest consumer rate hike in Georgia history. The original plan was four reactors for 600 million dollars, with the final price tag for Units 1 and 2 only, with enormous cost overruns and schedule delays, at over eight billion dollars. This time around for Units 3 and 4, the Georgia Legislature forced consumers to pay an up-front Nuclear Construction Cost Recovery (NCCR) through their monthly utility bills, as part of SB 31 passed in 2009. Georgia Power has raised more than 640 million for Vogtle from customers since the tax was implemented. With cost overruns and significant schedule delays–the same problems that have historically beleaguered the nuclear industry–Vogtle is now more than three years behind; and faces mounting public criticism as the total project costs, already billions over-budget, continue to rise. The latest SEC filing is adding fuel to the fire. “Georgia Power has been notified by Westinghouse Electric Company LLC and CB&I / Stone & Webster, Inc. (collectively, the “Contractor”) of the Contractor’s revised forecast for completion of Plant Vogtle Units 3 and 4, which would incrementally delay the previously disclosed estimated in-service dates by 18 months (from the fourth quarter of 2017 to the second quarter of 2019 for Unit 3 and from the fourth quarter of 2018 to the second quarter of 2020 for Unit 4),” the SEC filing stated. “Georgia Power has not agreed to any changes to the guaranteed substantial completion dates. Georgia Power does not believe that the Contractor’s revised forecast reflects all efforts that may be possible to mitigate the Contractor’s delay,” the filing stated. “In addition, Georgia Power believes that, pursuant to the engineering, procurement and construction agreement among Georgia Power, the other co-owners of Plant Vogtle Units 3 and 4, and the Contractor… the Contractor is responsible for the Contractor’s costs related to the Contractor’s delay (including any related construction and mitigation costs, which could be material) and that Georgia Power and the other co-owners are entitled to recover liquidated damages for the Contractor’s delay beyond the guaranteed substantial completion dates of April 2016 and April 2017 for Plant Vogtle Units 3 and 4, respectively,” the filing stated. “Georgia Power would continue to incur its owner-related costs, including property taxes, oversight costs, compliance costs, and other operational readiness costs, of which Georgia Power estimates its capital cost increase to be approximately $10 million per month until Plant Vogtle Units 3 and 4 are placed in service,” the filing stated. “Georgia Power expects to further address the matters related to cost and schedule described herein in the next semi-annual construction monitoring report for Plant Vogtle Units 3 and 4, which is scheduled to be filed with the Georgia Public Service Commission on February 27, 2015,” the filing stated. “Prior to Plant Vogtle Units 3 and 4 being placed in service, Georgia Power would continue to incur financing costs of approximately $30 million per month,” the filing stated. “Consistent with the Contractor’s position in the pending litigation between the Contractor and the co-owners, Georgia Power expects the Contractor to contest any claims for liquidated damages and to assert that Georgia Power and the other co-owners are responsible for additional costs related to the Contractor’s delay,” the filing stated. “In addition, as construction continues, the risk remains that ongoing challenges with the Contractor’s performance including additional challenges in its fabrication, assembly, delivery, and installation of the shield building and structural modules, delays in the receipt of the remaining permits necessary for the operation of Plant Vogtle Units 3 and 4, or other issues could arise and may further impact project schedule and cost,” the filing stated. “Additional claims by the Contractor or Georgia Power (on behalf of itself and the other co-owners) are also likely to arise throughout construction. Any of the foregoing claims or disputes may be resolved through formal and informal dispute resolution procedures under the EPC agreement, but also may be resolved through litigation. The ultimate outcome of this matter cannot be determined at this time,” the filing stated. Environmental and consumer watchdog groups are concerned about project mismanagement and contractor conflicts leading to rising costs and safety concerns. They are calling on the Georgia Public Service Commission (PSC) to impose penalties on Georgia Power for budget accountability. “We are concerned that ratepayers in Georgia are unfairly being made responsible. We are looking to the PSC to take steps to begin limiting ratepayer exposure, unless the PSC determines that the costs some or all are imprudently covered,” Liz Coyle, Executive Director of Georgia Watch, told Atlanta Progressive News. As part of the Vogtle Eighth Semi-Annual Construction Monitoring Report docket, from two years ago, when Georgia Power originally asked the PSC to approve cost increases, a settlement agreement was reached between between the PSC public interest advocacy staff and Georgia Power, in which the PSC ordered that evidence of “imprudence” would not be covered after Unit 3 came online. “The goal post keeps moving,” Coyle said. “Now to 2019 or 2020 or even further delays. There needs to be some regulatory or legislative action now, not waiting for Unit 3; a certain date–a certain amount–that the Commission orders Georgia Power to stop collecting the tariff [NCRR] from the ratepayer,” Coyle said. Georgia Power “appears to have no control over its contractors, but what remains is the uncertainty at the risk of the ratepayer. With the lack of an integrated project schedule by the Company, the case is being made for the lack of prudence,” Coyle said. Georgia Power is already embroiled in a lawsuit with Westinghouse and CB&I’s Stone & Webster subsidiary over who is responsible for costs stemming from earlier delays. The construction at Plant Vogtle has faced challenges from the start ranging from re-bar issues in the pre-foundation work and meeting qualification standards on reactor components with the site contractors, originally the Shaw Group, which was purchased by Chicago Bridge & Iron, Co in 2013. These problems and regulatory delays pushed the Plant Vogtle project behind by 21 months, and with this recent filing, Georgia Power warns of more problems ahead with additional filing of another 18 months to add to slipping schedule with contractor issues not yet resolved. In the upcoming PSC hearing on February 19, 2015, Georgia Power will have to face regulators, who will have to decide whether to approve an additional 198 million dollars in expenditures.